Based on a social media model for recipes, Kiwilimón It emerges as a portal on the Internet in order to solve the cooking needs of Spanish-speaking women. The site creates commitment with its users and an intimate relationship through a cultural value: food. One of the factors that distinguish Kiwilimón of the other portals of recipes is its content generated by the same users, thus offering more than 6,500 recipes, supported by the editorial team that create seasonal content, a monthly newsletter and the Kiwiblog. Another factor is the tools and alliances developed to meet the needs of users, among which are a virtual recipe book to keep your favorite recipes, a menu planner and the possibility of creating and buying the supermarket list online, thanks to our recent alliance with Superama. Kiwilimón was born in the minds of its co-founders Lorenza Ávila and Deborah Dana in 2009 when they detected a gap in the offer of digital solutions for Spanish-speaking women. Taking as model the best global companies of online portals, they decide to take advantage of this business opportunity and launch in December of the same year Kiwilimón, a site that becomes the solution to cover one of the most important topics for this audience: cooking recipes. In June 2012, the investment was formalized Gerbera Capital and the Mexico Ventures Investment Fund in June of this year. This is the first co-investment of the Mexico Ventures Fund in direct investment. 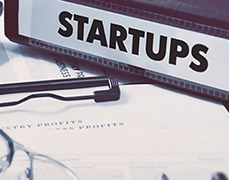 Currently, the business is supported by three models: Advertising, White Label Portals and Affiliated Programs. The sale of advertising space is the main income, they are marketed from traditional formats such as banners, to the sponsorship of special sections and the positioning of products in recipes and videos. Currently, Kiwilimón has more than 880 thousand visits per month, plus 82 thousand fans on Facebook and more than 155 thousand followers on Twitter, which has positioned it in the top 5 of "Food Comunity" in Mexico. In the course of this year has achieved the successful launch of a new section in collaboration with the renowned chef of high pastry Sonia Arias, the implementation of a new premium platform of video tutorials for users to learn the step by step of their recipes favorites and the launch of our first Kitchen Recipes App for Iphone, soon available for Ipad and Android devices. Added to this, the contents of the page are constantly renewed with new sections for each season, and are complemented by biweekly competitions called the Battle of Recipes, where users participate for the title of the best recipe of a specific category. The main focus of Kiwilimón is the Mexican market, where we seek to position ourselves as the number 1 portal and subsequently seek an expansion to the Hispanic market in the United States and the rest of Latin America. 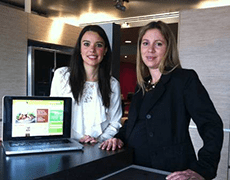 Deborah Dana and Lorenza Ávila noticed that the internet media neglected the kitchen In a year, their site KiwiLimón sold 1 mp in advertising. 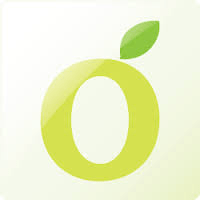 Mexico Ventures and Gerbera Capital formalize investment in kitchen recipe portal. The investment fund Mexico Ventures and Gerbera Capital formalized their investment in Kiwilimon.com, a site specialized in cooking recipes and grocery shopping online. With a website for housewives, Lorenza and Deborah found the perfect mix between cooking and technology. Based on a social media model, Kiwilimón emerges as an Internet portal in order to solve the cooking needs of Spanish-speaking women. Investment fund Mexico Ventures I and Gerbera Capital announced a co-investment in Kiwilimon.com, a website specialized in cooking, menu planning and online grocery shopping. 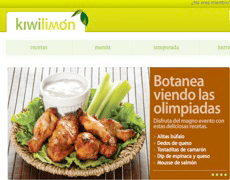 The Investment Fund Mexico Ventures I and Gerbera Capital formalized an investment in Kiwilimon.com, a portal specialized in cooking recipes and supermarket purchases over the internet. The Investment Fund Mexico Ventures I and Gerbera Capital formalized an investment in Kiwilimon.com, a social portal specialized in cooking recipes and supermarket purchases over the internet. With over 250,000 users, 1.5 million page views per month, and a structure that is 100% social, Kiwi Lemon has established itself as the market leader in online recipes in Mexico.